Perdido Street Station is not a light, afternoon read. That’s not necessarily a criticism, but it’s absolutely true. The book itself is not even all that long — I mean, it’s no My First Weird Fantasy, but neither is it Infinite Jest — but it really feels as though it is. It’s like a rare ribeye with béarnaise sauce compared to a $8.99 sirloin from Applebees — whether or not the ribeye is any good, it certainly takes more conscious effort to enjoy and digest. It’s said that any story should only have one or two Big Ideas. These are the philosophical underpinnings of the story — in layman’s terms, they’re what the story is *about* outside of the characters. Terminator is about time travel and robots. Those are its Big Ideas. Harry Potter is about a school for magic. That’s its Big Idea. One of the reasons Perdido Street Station feels so dense is that it purposely breaks that rule. This novel is about so many things. It’s about art. It’s about dreams. Artificial Intelligence, academia, justice, Theories of Everything, free/potential energy, gods, demons, technology. Miéville touches on all of them, and at such a pace that you’re never quite sure where he’s going with it. As soon as you’re sure that this plot point is going to be the central conflict, it falls by the wayside and becomes a subplot or less. This lack of focus is at once breathtaking and aggravating. There is no denying that the novel could have been substantially trimmed, kept the same narrative and touched on almost all of the same themes. Miéville made a conscious decision to jam-pack his novel with a plethora of topics, not all of which pan out to satisfaction, and while I think that’s a completely valid choice (as opposed to an objective mistake), it didn’t quite work for me. So what is the actual, central conflict of the novel? Well, we don’t actually find out until about halfway through, and describing it ruins some of the surprise. The story revolves around New Crobuzon, a sprawling, dirty, amazing, problematic, multicultural city within the magical steampunk world of Bas-Lag. The initial circumstances that lead to the conflict concern Isaac, a researcher, and his secret girlfriend Lin, a khepri (that is, scarab-headed) artist. Isaac is attempting to use his research into “crisis energy” to help Yagharek, a garuda whose wings have been sheared off as punishment for an unknown crime, and who can no longer fly. Lin, meanwhile, has been commissioned to complete a massive sculpture by a twisted, deformed crime boss, and though she’s in over her head, the chance to work on something so monumental is too tempting to pass up. You might have noticed the races I mentioned — khepri, garuda — and those are just a few of the imaginative peoples Miéville uses to populate his world. Those races, incidentally, are the best part of the novel. If you’ve read other Bas-Lag novels (which I haven’t), you might be familiar with some of them, but as a new reader I thoroughly enjoyed being introduced to races outside the traditional elf, human, dwarf fantasy triangle. We have the aforementioned khepri, people with scarab heads and human bodies, garuda, bird-people, cactacae, cactus-people (and as a fan of Final Fantasy, I couldn’t help being reminded of cactuar), vodyanoi, humanoid frogs with watercrafting abilities, and more. Even when the narrative sags, Perdido Street Station is worth the read for Miéville’s fully-realized use of novel, nonhuman societies. And really, despite its sometimes heavy, meandering nature, I would recommend you read Perdido Street Station. It represents some true forward-thinking for the genre, and contains some absolutely amazing scenes and creations. I desperately want to give it a 4 out of 5, but to me, that attributes a certain level of “couldn’t put it down!”-ness to the novel which it simply didn’t possess for me. Indeed, I had to actively force myself to continue more than once. To continue the metaphor, Perdido Street Station totally represents that expensive gourmet steak with a crazy French sauce and some vegetable you’ve never heard of. It’s absolutely worth a taste, just to experience what an artist can do when all conventions are thrown out the window. But in the end, it’s just slightly undercooked for my taste. 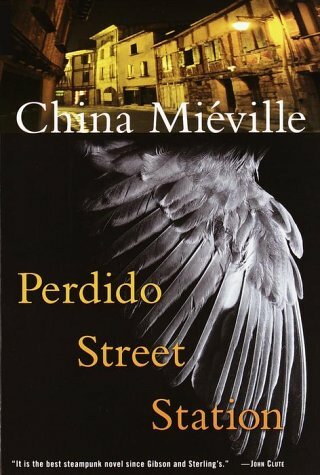 Perdido Street Station by China Miéville gets a 3.5 out of 5. 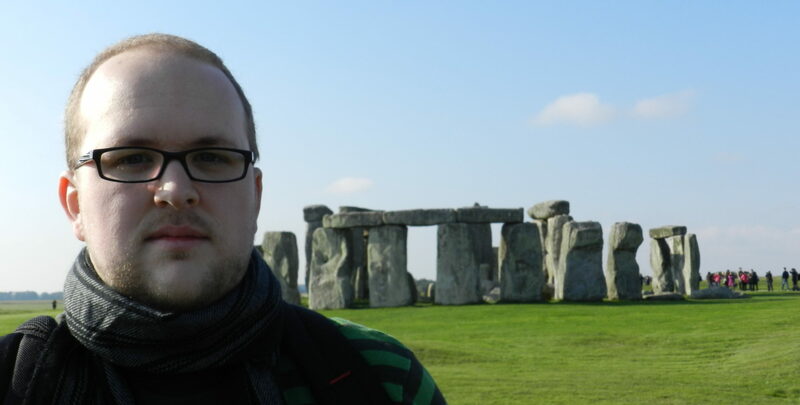 Previous PostPrevious I’ve been infected with a virus … and the only cure is blogging about my WIP!